A very informative post. I had never heard of paper parcel tape. 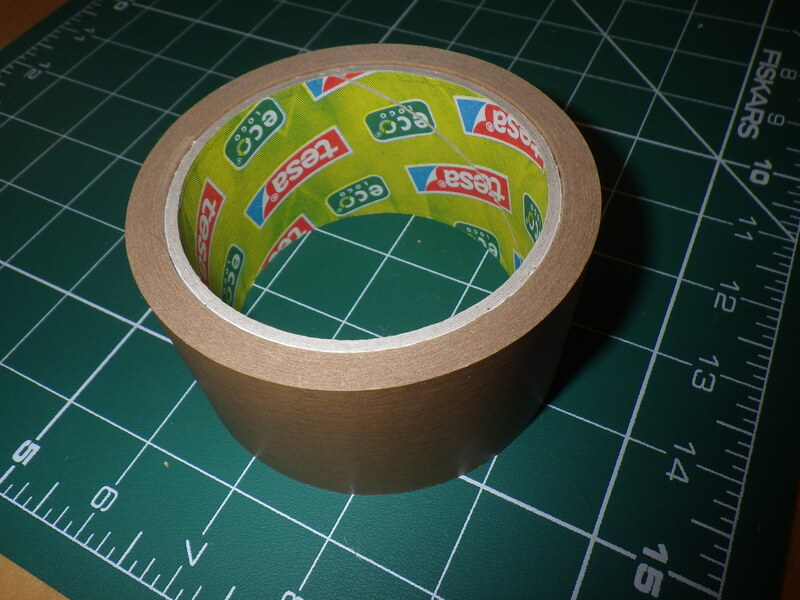 When our traditional parcel tape is gone, this is something I would be interested in using. But is it sticky and strong enough to hold well? I mail books, and I really need a strong tape. The paper tape I use works just as well as the plastic stuff, with the added benefit that you can write on it without fear of smearing. I find the paper gummed tape is often stronger than sellotape – but that is using it on paper or card of course, it doesn’t work so well on plastic. The perils of sticky backed plastic. I am wondering if you could re-use the tape etc as wadding in a parcel, it doesn’t have to be single use then. I know that the British Post Office objects to string these days, sadly. But, like you say paper masking tape works well. I am planning to make some fabric gift bags out of some scraps so that Mr Snail and I can have them to use when we give each other gifts because our much-reused wrapping paper is reaching the end of its life. Good heavens -‘ the Post Office objects to string’….. that makes me want to go and tie something up for the post immediately. Thanks for introducing me to the paper parcel tape. It’s new to me. And using the scrunched up old tape as wadding in a parcel is inspired. At least it gets used a few more times before it is landfill. What a creative, inspiring space this is. Excellent ideas from Patrica. I must look out for the paper parcel take. Thank you for sharing. I learn how to tie a proper parcel in brown paper at the Brownies too. Thanks for the memories! I had never thought about sticky tape and plastic 😳 and of course there is the dreaded bubble wrap. By the way Dr Snail and Patrica, remember your post about glitter? I happened across an article about young women who have made eco friendly glitter ~ from wood shavings? (Am I remembering this right?). As you can tell I have forgotten all the details, but did think how great it was that someone was finding a solution. Thank you, Anne. This is fascinating. I have heard back from one of the charities selling glittery cards. They had taken the trouble to contact their manufacturers who refer to glitter as flitter! They admit that the flitter makes for problems with re-cycling and said that some authorities could recycle flittery cards, others not. It would put 5p on a pack of cards if they switched to an eco-flitter. The charity has said it will be reviewing its range of cards with the environment in mind. That’s quite a positive comment from the card company (and good on them for getting back to you). If they are considering eco-flitter then it sounds like it can be bought in bulk. maybe the price of it will come down with demand. BTW, is eco-flitter a new word that has just entered our vocabularies! I often think this when Sellotape is used, I try to avoid it when packaging items for my business. An interesting post. My feeling is that once we already have something, it’s been made and exists. Whatever we do with it, its going to be a problem. So we should use it up, but then find an alternative once it’s finished. But if there’s an argument against that, I’d be interested to hear it and think again. There are many things I will never buy again. But it feels wrong to simply dump them without even having made use of them for some purpose or another. Though I would draw the line at say glitter, in that spreading it around would just compound the problem so in that case some kind of careful disposal has to be the answer. Thanks for this, Deborah. I’ve been thinking a lot about how to manage transitions from the things we have to the things we know are better for us and the planet. I agree that dumping stuff we have is not the answer. Oh, I so agree with you. There seems to be a whole industry set up to get you to buy new stuff and throw away old stuff… now we are told we must have metal sandwich tins and bamboo picnic sets… and supposedly just send all our old things to landfill. It makes me so cross. 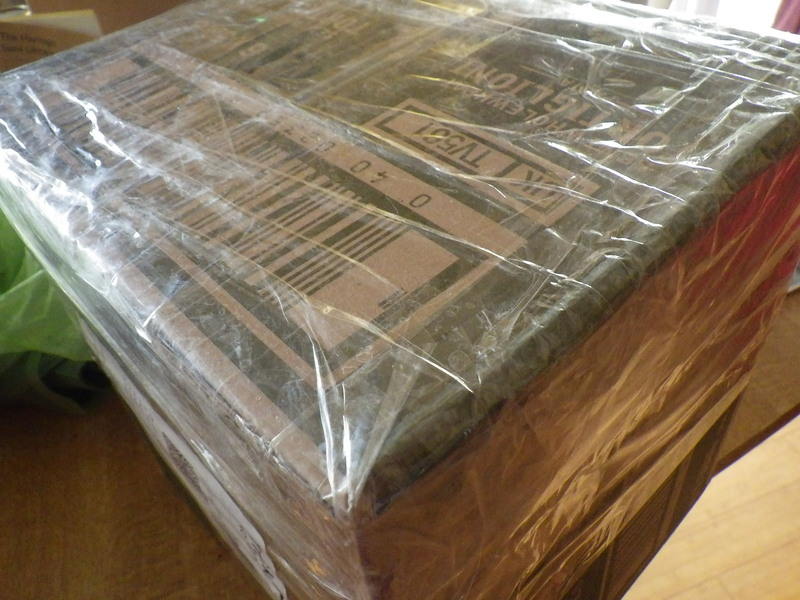 I am so happy when I get a box that’s been taped together with the paper parcel tape since it makes recycling so much easier. Unfortunately, our recycle company fails to remind people to remove the tape from their boxes so I wonder how much cardboard is not being recycled (or how many batches are being ruined) by the plastic tape. Isn’t Washi tape made of paper as well? I wrapped Mr Snails birthday presents in fabric last year… this year I’m planning to make some fabric gift bags in a variety of sizes for us to use when we give each other presents.